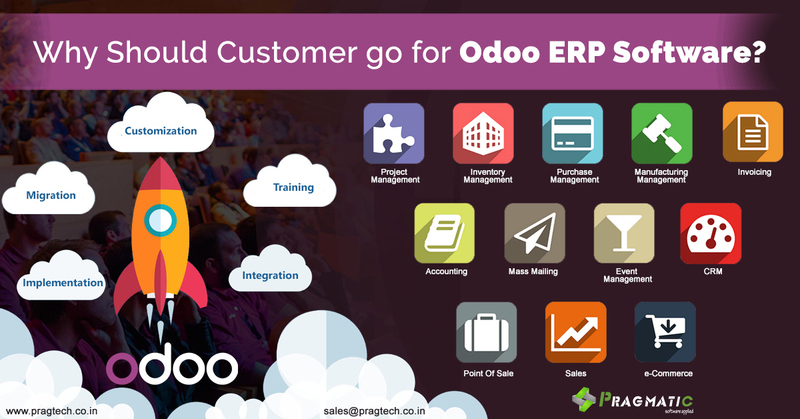 Odoo is more than a standard management software but it comprises crm, sales and project management in a single tool, and integrate them with a variety of Manufacturing, POS, and e-commerce platforms to deliver a unique and universal solution that can help all businesses to grow and manage various types of operations. Odoo system also offers the facility to combine all the sales channels and can integrate it with highly capable inventory management module. Because of which odoo becomes one of the best business management and growth solutions that can be searched over the globe. Alternately, Odoo is now on cloud, and it is available in various packages as per users requirement of different modules. Odoo covers all sorts of business operations, from sales, manufacturing, CRM, and HR to inventory control. Being such a universal solution, Odoo always fusion within your software infrastructure and after a while, it replaces the multiple applications you’re using to manage all different processes. User may think Odoo is a complicated system after going through all the variety of options present in the system but after a thorough search with other erp systems it is one of the easiest erp systems to use and user interfaces are really interactive. It offers good support and community which assures users that their product will run smoothly without interruptions. Most of the ERP systems have similar functions and facilities but when the user gets familiar and understands the system, he will enjoy the usability of it and when the user gets profit from the system he will involve more with that system. If you think for Odoo system, you will get a user friendly system which user can update according to the technology changes in the future and can easily replace the rest of users modules by the new one. 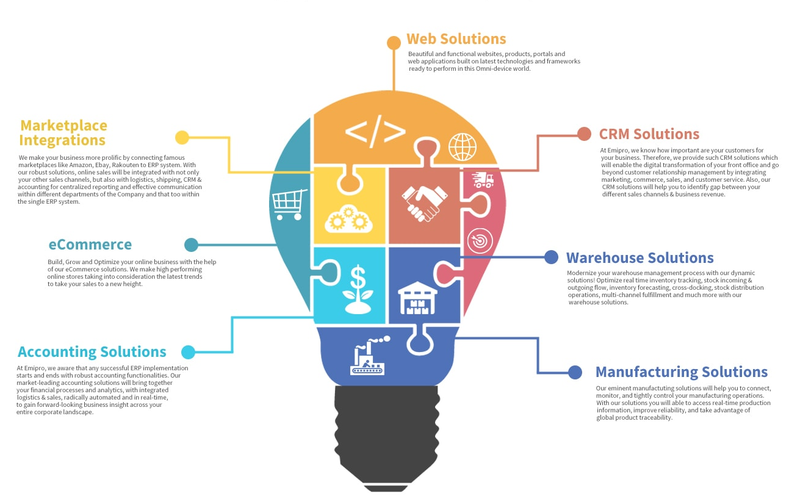 Odoo offers the common need of flexibility of the system as user can change and develop it according to the most specific needs and hence even if users want to change some business situations they can do it. John is a salesman who came back from a long week-end. Now if he wants to reconnect to his everyday work and tasks he will definitely go through his calendar, events and all the mails he traded with leads, customers, managers etc. But if he is using Odoo Sales system, then he will just go through the dashboard and recall everything that happened before the weekend. The sales module has a facility to organize the To-do list automatically and as John has entered tasks and work previously and filled up the follow-up notes for each lead, customer and opportunity, he can easily view everything. So John just clicks on Sales dashboard and start the further action immediately. Once the sales order has been accepted via the online interface, the invoice is automatically created by the system. Jack has just started a startup and wants to create a website. He didn’t know anything about website building but he has Odoo system. Even if he doesn’t have any idea, he can build the website from Odoo Website builder. He can just drag and drop website building blocks already available and change any themes, pictures to create a beautiful website. He can create a form to fill up by customers and from that form he can get new leads directly into CRM app. Hence John can already start to increase his business from the website he can build in few minutes from his own. Odoo Customization Vs Out of the Box: Which One Should you Prefer? Odoo Partner – How to Choose the Right One?